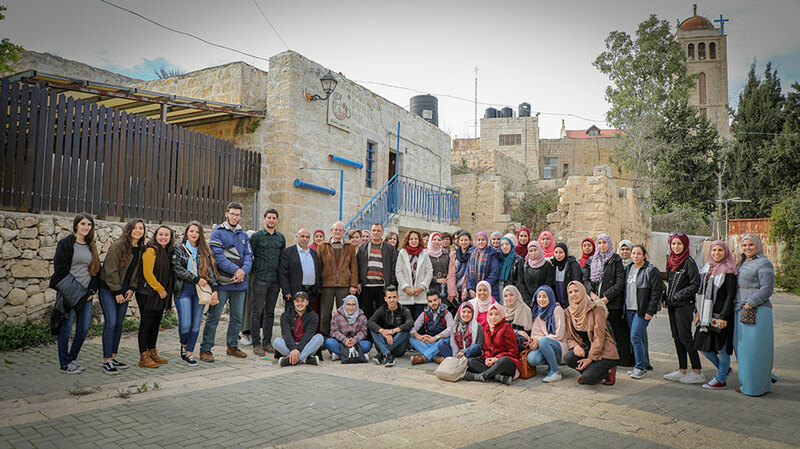 Dozens of Birzeit University students took a hike through the old areas of the town of Birzeit in celebration of International Volunteers Day, on Wednesday, December 5, 2018. Accompanying the students were Vice President of Academic Affairs at Birzeit University Henry Giacaman, Assistant to the Dean of Student Affairs Fadel Khaldi, Voluntary Work Coordinator Gadah Alomare, and Head of the Birzeit Municipality Ibrahim Sa’d. International Volunteers Day, mandated by the UN General Assembly in 1985, aims to promote volunteerism and recognize volunteers worldwide.